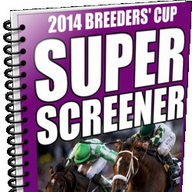 Breeders' Cup Super Screener Preview! Join author Mike Shutty as he gives insight into betting some of the best races of the year. 20-year old betting system that really works!